Immix Command Center (Immix CC) is a response platform for enterprise security teams. The platform optimizes and simplifies all security operations at a global command center. 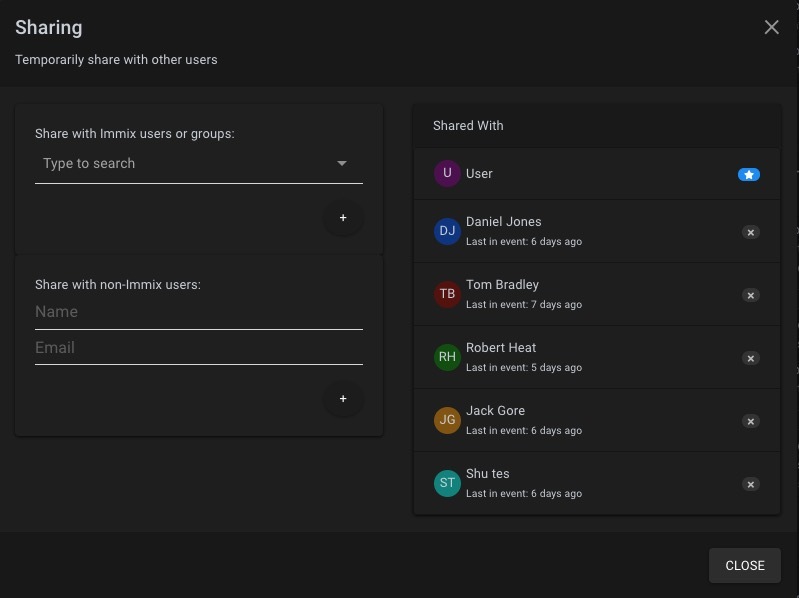 By presenting a single view of the most critical events and automating workflows for others, Immix CC makes it easier to manage all security incidents. With the largest library of integrations in the business, Immix CC uses real-time data from multiple disparate security and business systems to help users mitigate risks and put actionable data in the hands of the management team. 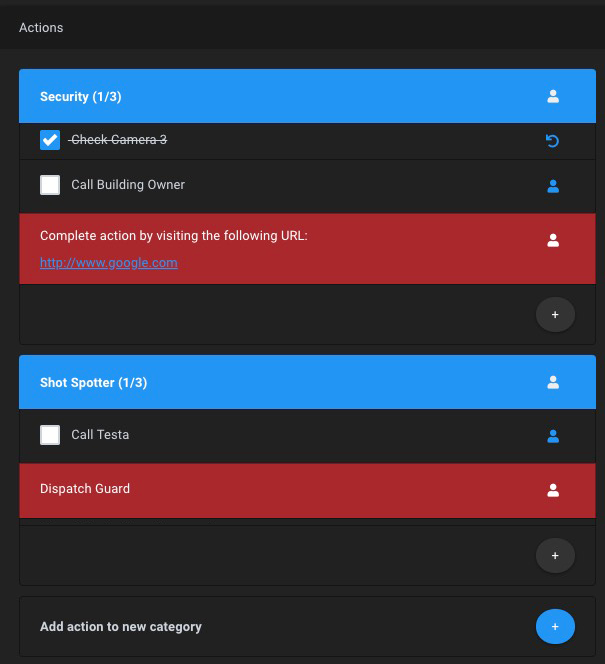 After talking with our customers we decided to redesign our primary operator interface focusing on 3 major functions – improving operator response by filter the information they are presented to whats nearsest to the event, for critical events make it easy to share with other to help coordinate the response and making our SOP’s more flexible. We of course added a load of extra features but our overall design was drawn primarily from these 3 foundational functions. Our goal was to provide operators with only information that is relevant to the event. We only show operators the cameras, doors and assets that are nearby to the originating alarm, avoiding long device trees and lists. We achieve this by focusing everything in the user interface on using Geospatial Asset Association (GAA). We designed a new approach to SOP’s – we call it Actions Plans. These plans provide simple list(s) of actions that an operator may need to follow when responding to a specific event. These lists of Actions are non-linear and provide both a guide and the flexibility for the operator to respond in a way that is most relevant to the specific event. Additionally Actions can be shared with other operators to assist in the response to an event. In critical events we wanted to create a simple way to share what the operators is looking at with others. The new design makes this easy. Operators can share their event with other operators or even temporarily with people outside the organization, for instance first responders. Alarm Queue Filters. Create multiple different views of your alarm queues in separate tabs. Coordinate the dispatching of guards from within the event. New Situation Report that provides a simple snapshot of the current status of the event response. Provides operators with a simple option to pulse a door without raising an event. Immix integrates all our security systems into a single user interface providing our team with ability to verify threats and respond to alerts in real-time. This has been a game-changer for AIG Global Security. Immix allows us to manage our cascading security environment. If an alarm does not get resolved at a site level, it automatically gets forwarded to our global Security Service Center so we do not have to have multiple procedures for the same alarm. The training around response has become much easier; so from an operator’s perspective, Immix has been a great asset. We see Immix as the enabling technology for the community of independent public and private systems to operate collaboratively and deliver real-time, city-wide situational awareness. Immix allows us to use existing technology to improve our ability to respond quickly and effectively to any emergency situation.